Wanting to prepare a wholesome breakfast today, I whipped up Sunday Morning Hot Bread. 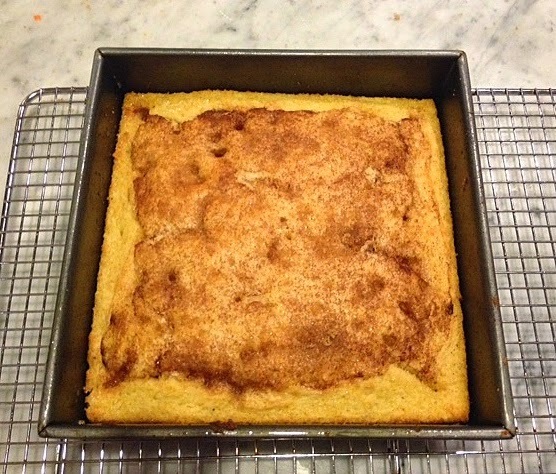 But instead of bread, what emerged from the oven was cake (not that there's anything wrong with that!). Curious, I did a bit of research and discovered only one reference, an old recipe called Mt. Washington Hot Bread, that was a favorite at Camp Onaway in New Hampshire. You can see that (even simpler recipe) here. 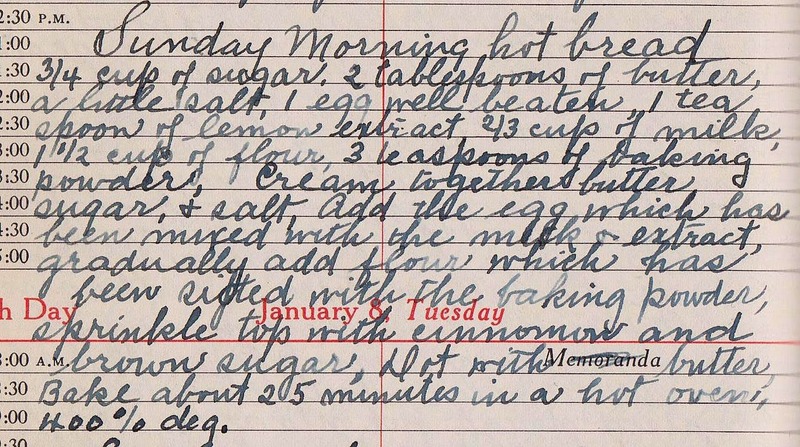 The recipe I used was found in a handwritten recipe book I purchased at a Brooklyn stoop sale. 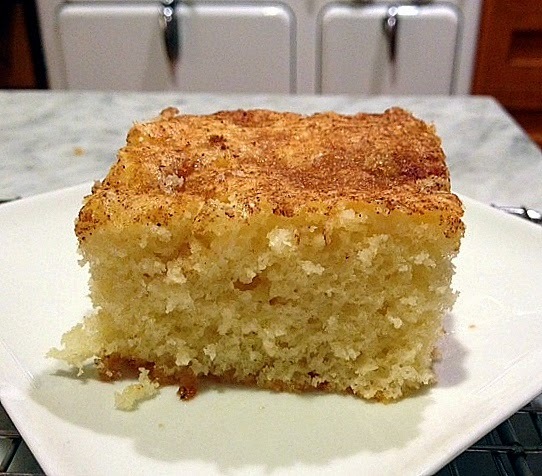 It is light, not-too-sweet and delicious -- perfect for breakfast or afternoon tea. And so simple to prepare. 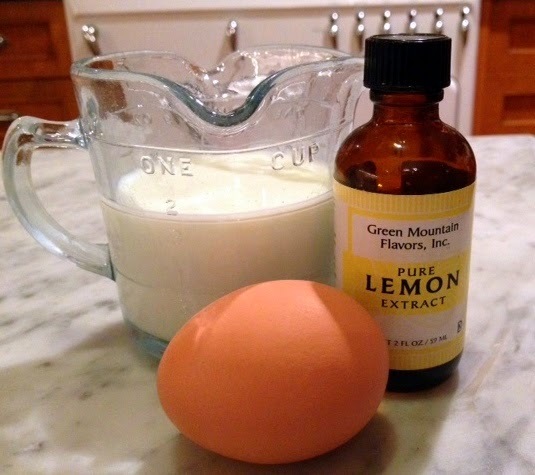 The flavoring in this recipe comes from lemon extract. If you don't happen to have any, vanilla would make a lovely substitute. 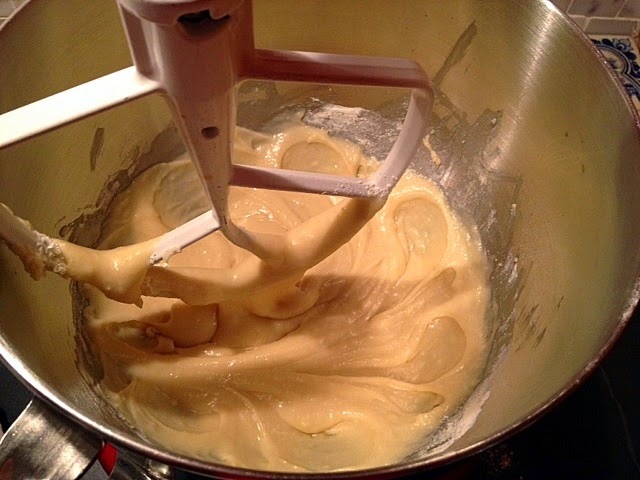 The batter can be prepared in a single bowl. 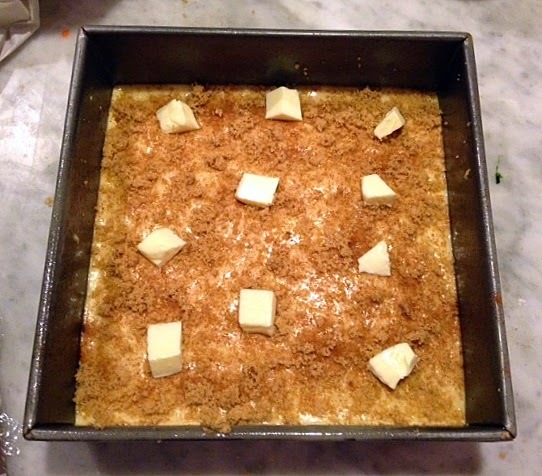 Pour the batter into the pan; sprinkle with cinnamon and brown sugar, and dot with butter. Even though I covered the edges of the cake with topping, it somehow all migrated to the center of the cake. 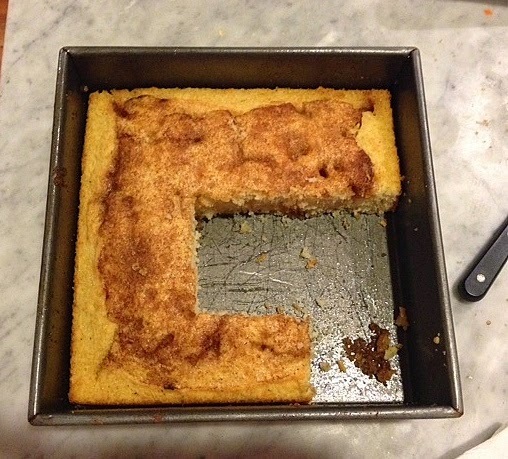 You can turn the cake out, but it's easier to serve it from the pan. It would be terrific with some stewed fruit. The original recipe, below, and a more modern interpretation below that. Cream the butter, salt and sugar until fluffy. Add the milk, lemon extract and egg and combine well. Combine the flour and baking powder and mix it in the batter gradually. Sprinkle cinnamon and brown sugar on top. Dot with butter. So good, very quick to put together, light and lemony...as recipes from your site are, a keeper. Thanks.